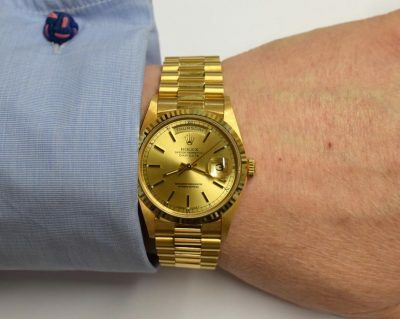 A gentleman’s 18ct gold Rolex wristwatch going under the hammer on Valentine’s Day in the Charterhouse two day February auction is expected to sell for thousands of pounds. 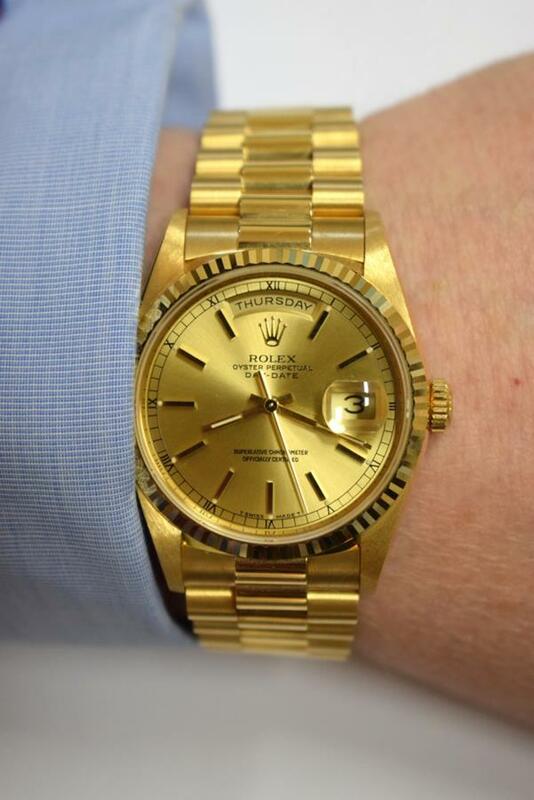 The Rolex Oyster Perpetual Day-Date is in an 18ct gold case and matching gold President bracelet. Coming to auction with its original box, tags and booklet and this model is popular with both ladies and gentlemen and being sold on Valentine’s Day might be a wonderful surprise for someone! The watch, which is estimated to sell for £5,000-6,000, was given to the owner as a token of appreciation. 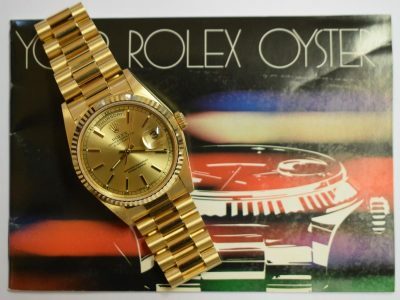 However, he already owned a Rolex which he enjoyed and never got around to wearing the new Rolex so it was just left in its box until taken to a Charterhouse watch, silver and jewellery valuation day. Charterhouse are now accepting further entries into this specialist auction of watches, silver and jewellery with a selection of wine, port & whisky on 14th & 15th February , and for their auction of classic & vintage motorcycles on Sunday 3rd February followed by classic & vintage cars on Sunday 10th February which are both being held at The Royal Bath & West Showgrounds Shepton Mallet. For further information regarding these auctions, contact Richard Bromell and the team of experts at Charterhouse, The Long Street Salerooms, Sherborne 01935 812277 or via email info@charterhouse-auction.com to arrange a home visit.